The Electrician Squad leads in Miami-Dade County electrical services. 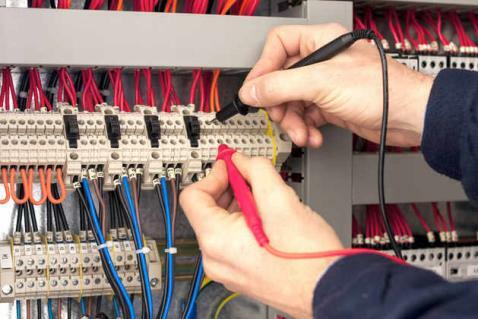 We inspect, install, repair, replace and maintain all electrical systems. We cover the entire Miami Florida region including the islands. Along with our years of experience we pride ourselves in our customer service. We know that the customers opinions are valuable, and so we strive to work together and help them understand the problems when applicable. We provide competitive quotes and free estimates, leaving our customers satisfied and coming back to us. Armed with a team of professionally trained and highly certified electricians and technicians, we come highly recommended in Miami-Dade. HVAC wiring – we help you maintain fresh indoor air quality and temperature. The hottest day in summer will feel like a spring afternoon inside your house. Landscape lighting and Pool lighting – Perfecting and highlighting the beauty of your home even when it is dark. blends in well with a well lit up yard. We can help you bring out the best features of your home by strategically placing lights in different viewpoints, colors and elevations. Everywhere sound system – We can take your music to any room in your house including the stairs, attic, basement, shed or garage. Main Gate Openers – Do you want to enter your home like they do in James Bond movies? With the help of a remote and an electric opener with a sensor, you will never have to get out of your car to do that manually again. We can also wire the same opening mechanism for your garage door. You just drive with door opening and closing automatically behind you. Intercoms – We are also experts in installing intercoms for large rental buildings as well as for private gated single family homes. Electric Panels – We are masters of electric panel installation, repair or upgrade in Miami-Dade County. Our team of professional electric contractors is well versed with circuit breakers and fuses as well as 3 phase wiring. Home Theater Installation – Treat your family and friends to amazing movie theater effects with a well assembled and calibrated home theater system. Indoor Lighting, and Pot Lighting – Do you have any potted plants in your house? We can light that up and mix it up with the interior lighting scheme to reveal the beauty in your home. Our technicians understand the codes and policies set by different factions governing Miami-Dade County’s development planning. Outdoor Lighting – We will light up your outdoors as well according to the Miami 21 code for lighting residential and commercial buildings. New Construction Wiring & Renovation Re-wiring – We can design and lay the entire wiring in a new building. If your property is undergoing renovations we can rewire everything as required. We can install and connect electric dishwashers, fix switches (including dimmer switches), install water heating systems (tank or tankless) and power outlets. Lighting up the Driveway – We can make your feel like a pilot as you come in for landing in your garage through the well lit driveway with guiding lights. Alarm & Security systems – Keep thieves and intruders away from your precious belongings and family. Installing Power Backup such as solar panels or generators for office buildings, educational institutions, civic buildings, motels, restaurants, bars, disco clubs and hotels. Wiring and integrating equipment such as Ice Machines and Refrigerators. We can also install medical equipment with complete wiring or rewiring. Wiring and installation of Access Control systems. It could be a bio scanner, a keypad, voice recognition or any other access control technology. We have you covered. Lighting up the Parking Lot. We can deliver quality work on both underground parking lot lighting as well as an outdoor parking lot. Wiring and lighting outdoor signs. Different techniques can be used to achieve this feat such as using neon lights. Wiring and installing both Data and Communication systems. Call us on ………..or email us at info@electriciansquad.com. You can also visit our offices for a quick chat and we will solve your electrical issues and at unbeatable prices. Get exceptional electrical services from the best company in Miami-Dade County today.